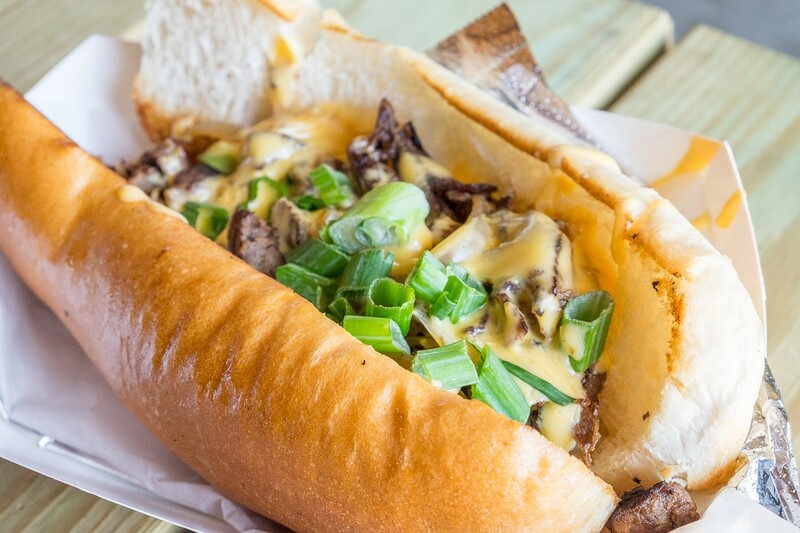 The Eatsie Boys food truck, helmed by 8th Wonder Brewery’s Executive Chef and Culinary Liaison, Matt Marcus, has an important distinction: it is Houston’s longest-running gourmet food truck. Founded in 2010, it was one of the first that started that trend—and one of the few survivors. These days, its contemporaries—such as The Rice Box, Pi Pizza, Fusion Taco and Bernie’s Burger Bus—have moved their primary operations to successful storefronts. 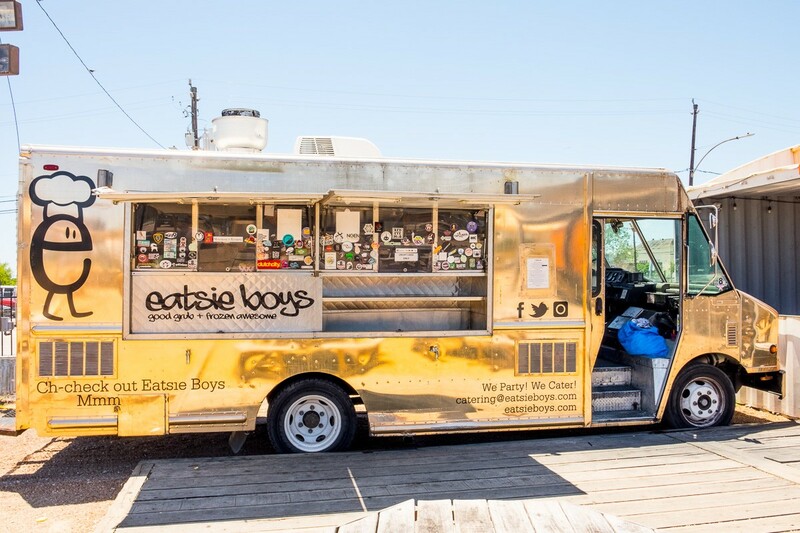 The Eatsie Boys had a storefront, too, but with the amazing success of 8th Wonder Brewery, Marcus went back to his food truck roots a few years later. In other words, the Intergalactic Food Truck rocks on—an evolved version covered in gold metal plating. 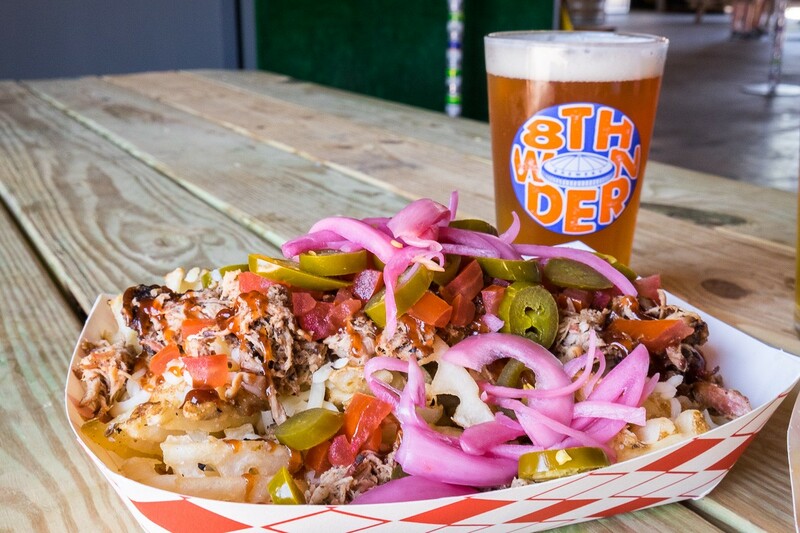 Stationed at 8th Wonder, it satisfies hungry visitors Mondays through Saturdays from 11 a.m. to 10 p.m. and Sundays from 11 a.m. to 6 p.m.
Eatsie Boys Elote Fries with 8th Wonder Brewery’s Dome Faux’m: In this dish, Mexican-style street corn meets a food truck favorite: topped fries. Garnished with garlic aioli, hot sauce, Cotija cheese, green onion and tangy lime juice, the rich corn flavor is the perfect match for 8th Wonder Brewery’s Dome Faux’m. The “throwback cream ale” works so well because corn is part of the grain bill. 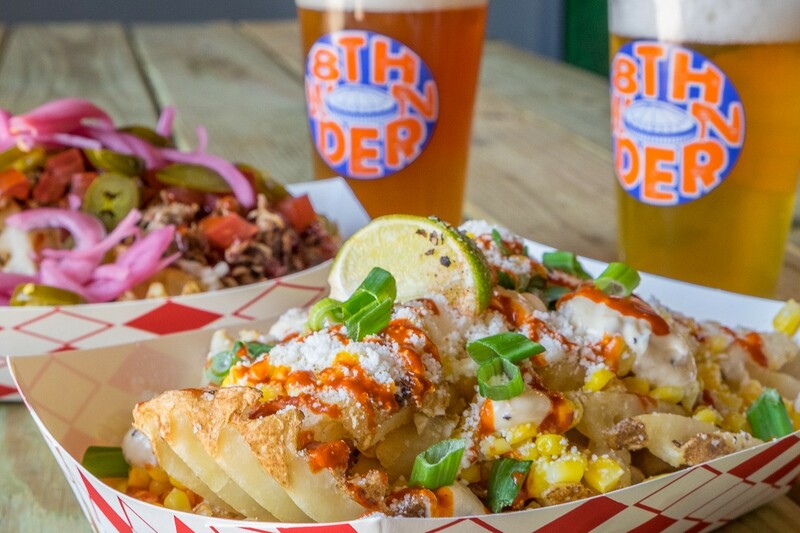 Together, Dome Faux’m and the Elote Fries are big mouthfuls of buttery, golden goodness. S.L.A.B. Fries with S.L.A.B. IPA: This hearty dish comes with pulled pork, mozzarella, barbecue sauce, avocado crema, diced tomatoes, pickled vegetables and jalapeños. Marcus sources the pork from his dad, Al Marcus, a local food vendor whose company The Grateful Bread has long been a welcome presence at the Urban Harvest Farmers Market. Want a more sumptuous burger? Try the Hello Nasty, piled high with grilled onions, pickled jalapeños, cheddar cheese, bacon, all amped up with sweet and tangy barbecue sauce. What The Falafel with Intellectuale: Vegetarians, you have not been overlooked. Marcus grinds chickpeas to make his own falafel. “It’s traditional and herbaceous, with cucumber, tomatoes, red onion and tzatziki. I think Intellectuale goes great with the herbs and spices,” said Marcus. 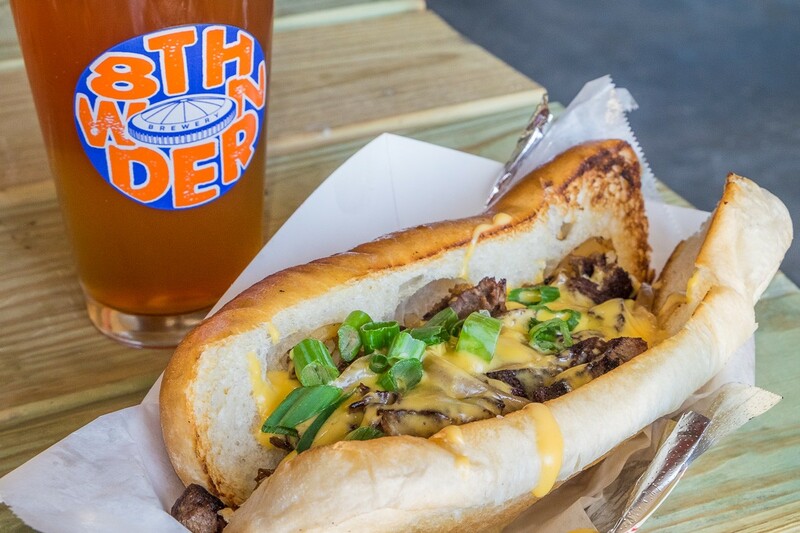 With 8th Wonder Brewery’s extensive beer selection, a sizable menu from the onsite Eatsie Boys food truck and plenty of hangout space both in the brewery and on the huge back patio, a visit to try some of these Perfect Houston Pairings can easily turn into a perfect Houston afternoon—or evening.